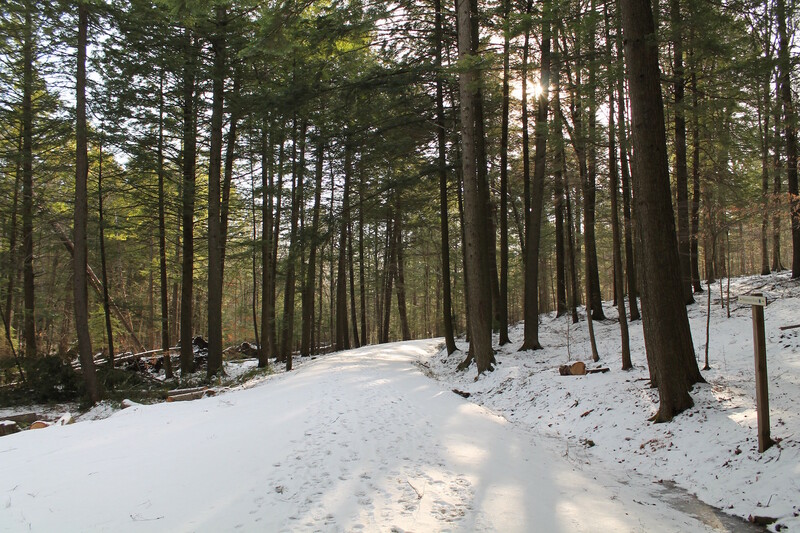 This week, we venture up the winding dirt road to Sugarbush Farm, first through the Woodstock Village and past Billings Farm, along the backroads toward Quechee. 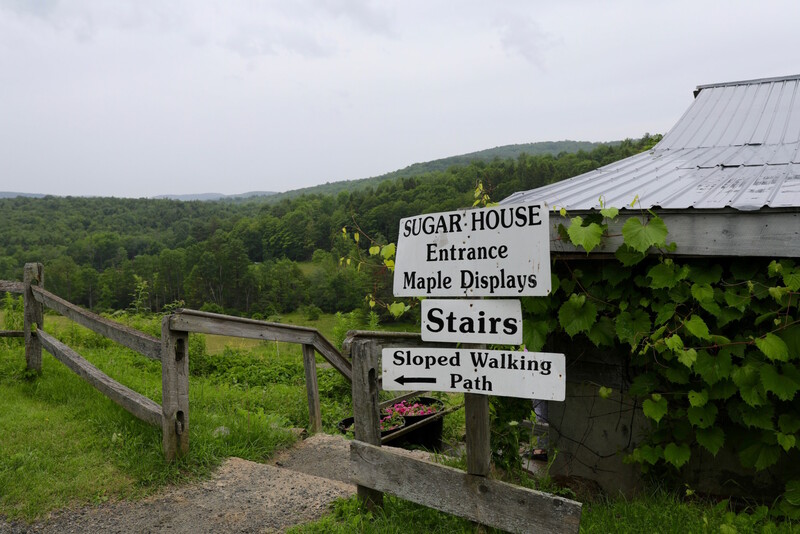 We pass by a few of the most idyllic little barns along the way (and maybe some “not so little” ones) and spot the yellow signs for Sugarbush. 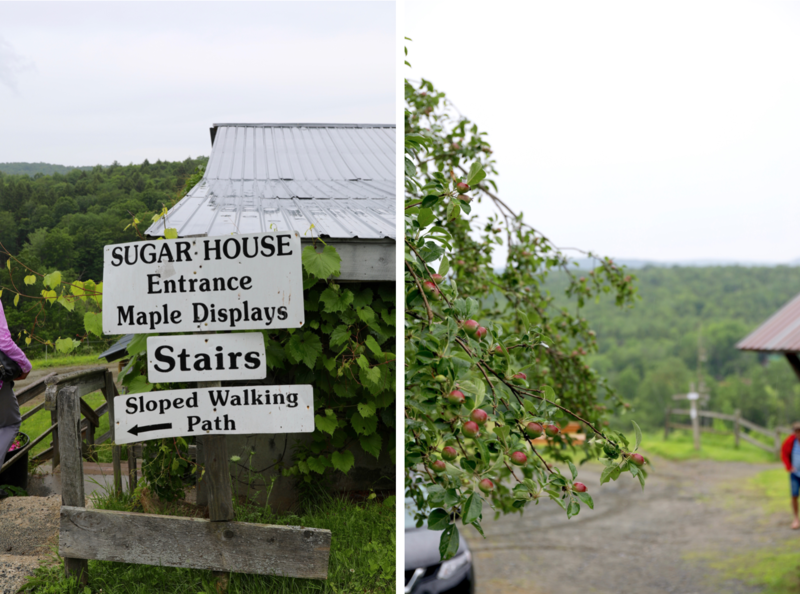 A smile appears on our faces each time we drive by one of Sugarbush’s bright signs. They are a welcomed reminder to “keep going” or that we’re “almost there!” – reassuring us that we have just a bit more to go up the dirt hill. 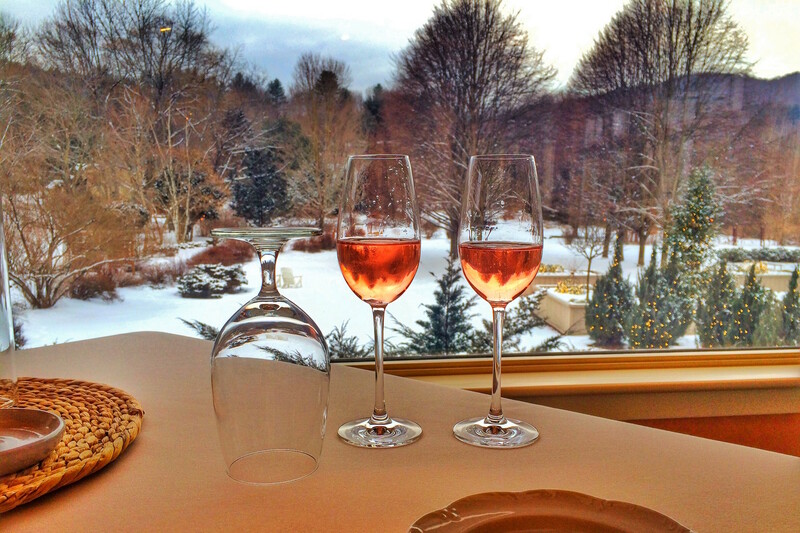 We consider Sugarbush Farm one the mainstays in our little town. Not only was the farm settled following the Revolutionary War, but they’ve also been doing “agritourism” before it was even a word. 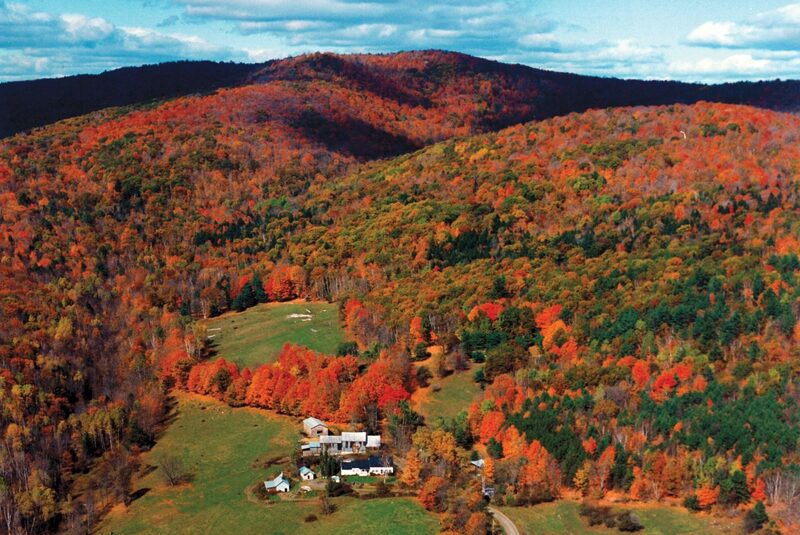 Sugarbush is a truly historical destination that exemplifies a long-standing personalized way of doing things. In other words, it is the traditional Vermont cheese & maple syrup farm. We chat with owner Betsy Luce and clearly understand that family pride runs deep at this farm. Betsy’s parents moved to Woodstock in 1945, when she was just 2 years old. “My grandparents were from southern Vermont and my parents had been living in New York City and were a part of the back-to-the-land movement.” The farm evolved through the years to produce the kind of food it does today. 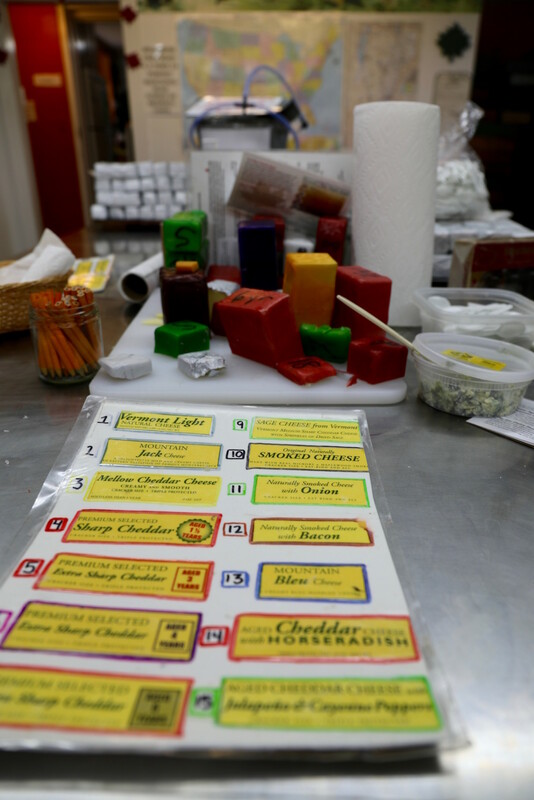 Betsy’s father began smoking cheese in the 1950’s as a way to supplement his farming income. Betsy also married Larry Luce, who had grown up making maple syrup. “So we combined the maple syrup and cheese business,” notes Betsy. 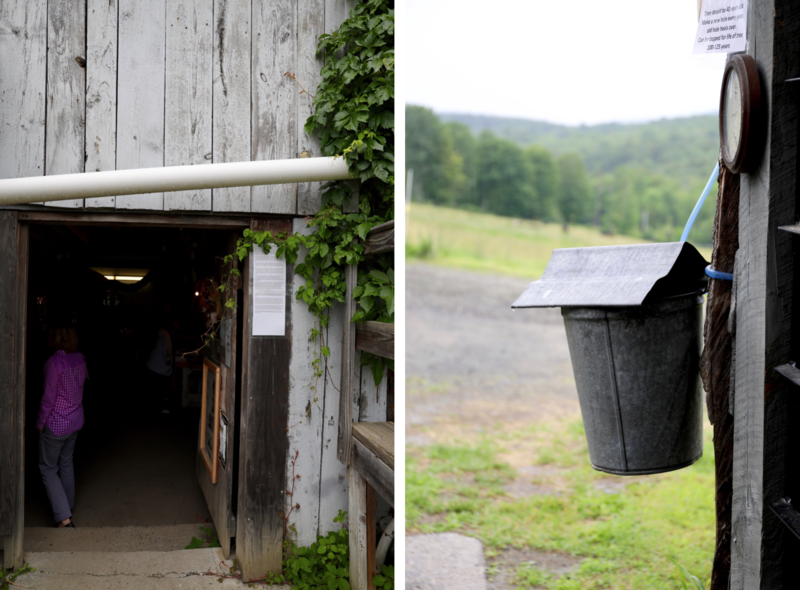 By the 1980’s, Sugarbush Farm started inviting folks to the farm to sample their cheese and syrup. Word spread and the people kept coming! Family is the main vein running through this business. Betsy and her husband have converted their home’s old living space to accommodate tastings, as well as their farm’s gift shop. Their two sons, Ralph and Jeff, also operate the sugarhouse, ship international orders, track cheese inventory, and maintain the grounds. Thus, the farm is the perfect combination of old and new. The farm maintains its natural beauty and old-school character, while also continuing to evolve as the next generation takes over. 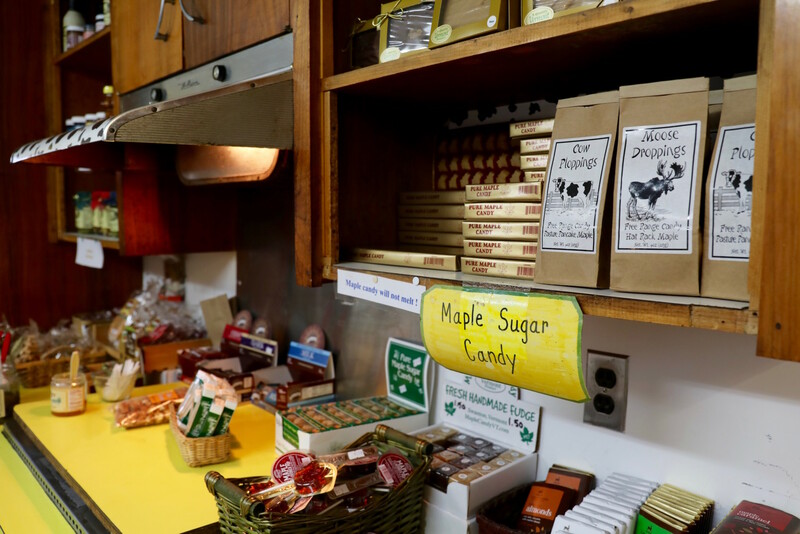 Once you’ve had your fill of cheese and syrup samplings, you can make your way down the hill to the farm’s working sugarhouse. A promotional video and self-guided tour await you. 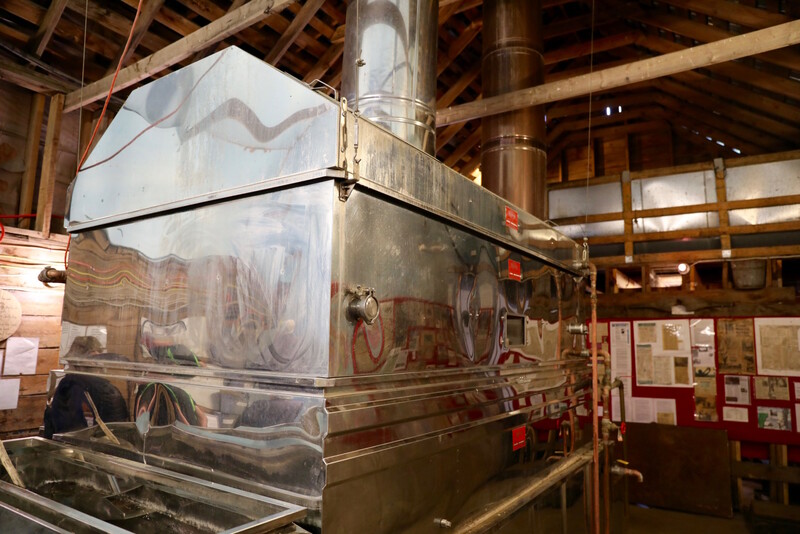 Believe us – you’ll leave this place with all the maple syrup knowledge you could ever want! 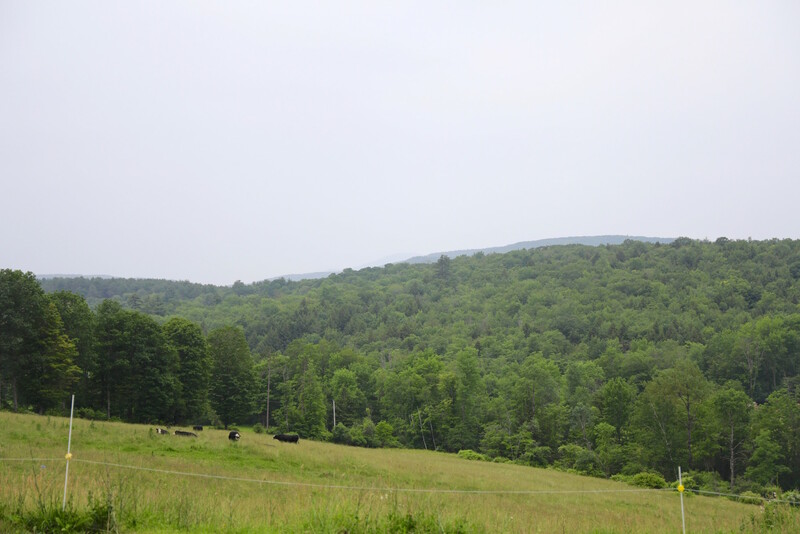 There is truly nothing like gazing out from the farm’s sugarhouse to see grazing cows and rolling hills as far as the eye can see. 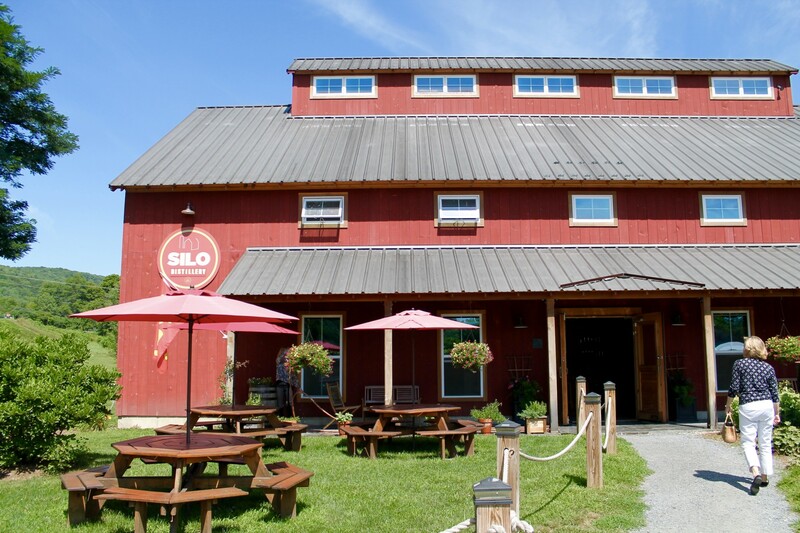 We consider this particular spot a true Vermont gem. Visit one of the original agritourism destinations yourself! It’s just around the corner! This farm is certainly a fun place for kids and those who are kids at heart. 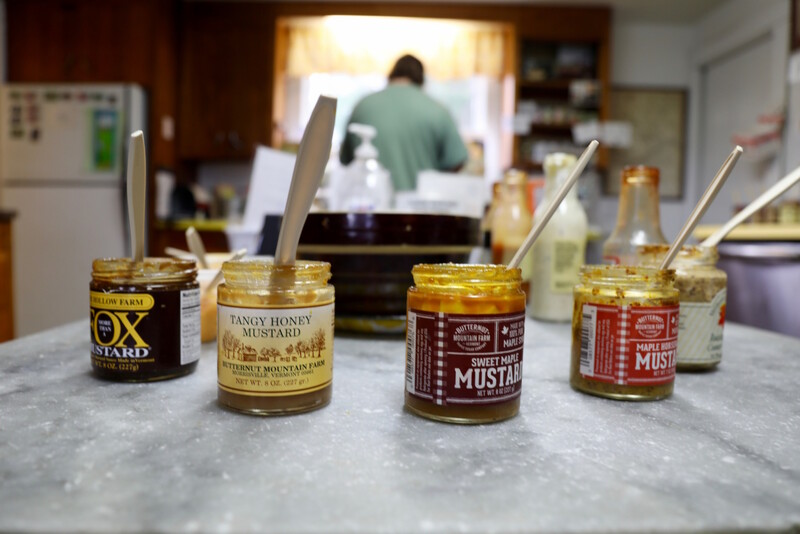 Feel free to peruse the Sugarbush products on their website, or find them in local stores throughout Woodstock and Quechee. 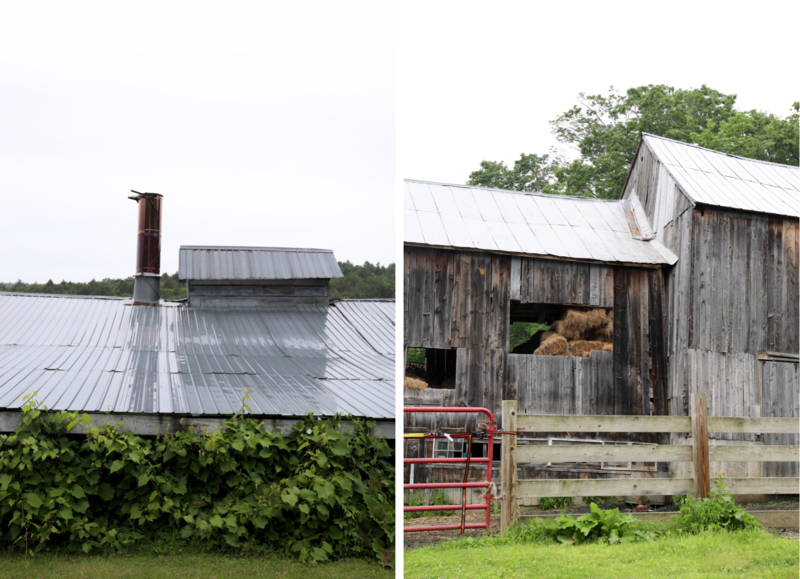 Take a step back in time, and see what a traditionally-run farm looks like today at Sugarbush Farm!